Our brief was provided by event organisers Nu Breed, with whom we have a thriving relationship with. 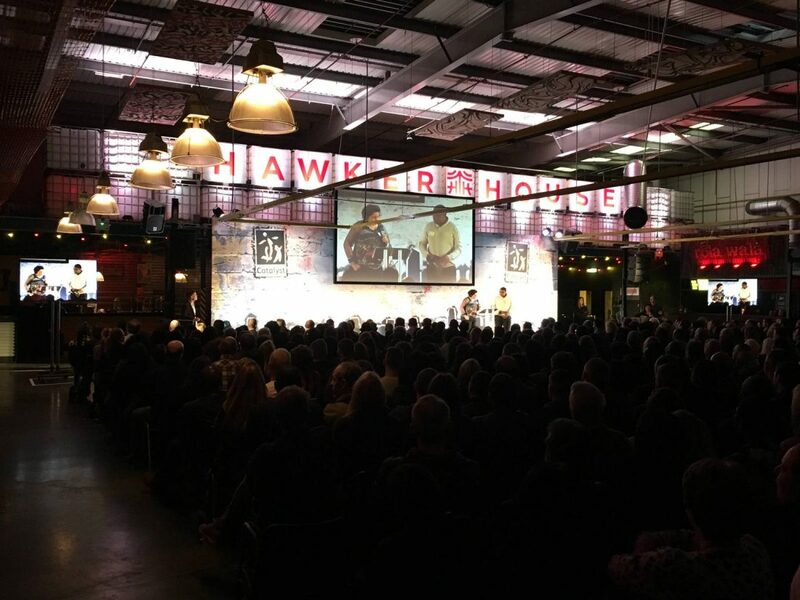 The event was an annual general meeting for Catalyst housing group, our job was to provide audio visual equipment including the special effects at the amazing venue, Hawker House, sourced by project manager Joe Wicks from Nu Breed. 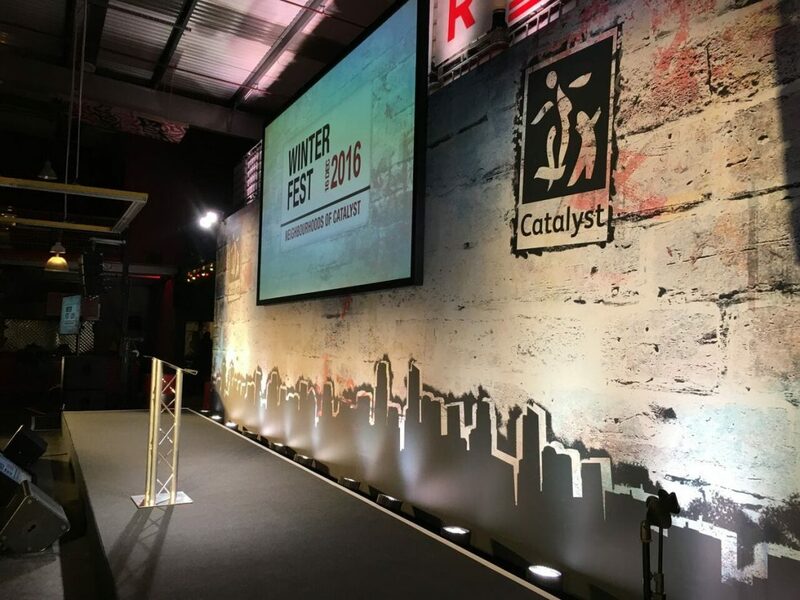 The client wanted to shake things up and create an event for 600 of their staff, where delegates could enjoy a 2 hour Conference and Awards Ceremony. The key element for this Annual General Meeting was for the staff to learn about the CEO’s plans for the year ahead, as well as celebrating key people within the business for their continued hard work. 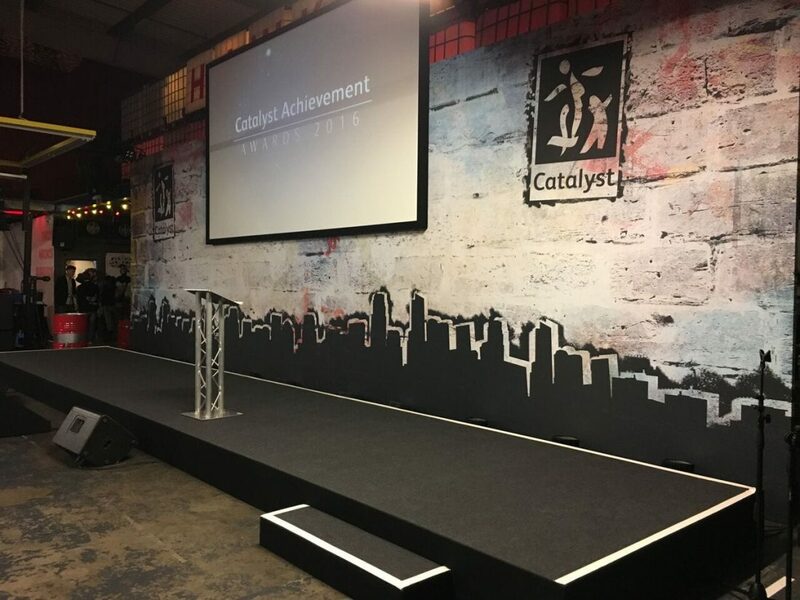 Our project manager drafted a mock up of the staging area, which allowed the client to visualise the final look of the event. This included a staging area of 10m x 2m which was supported by a wooden construction put up by our team. 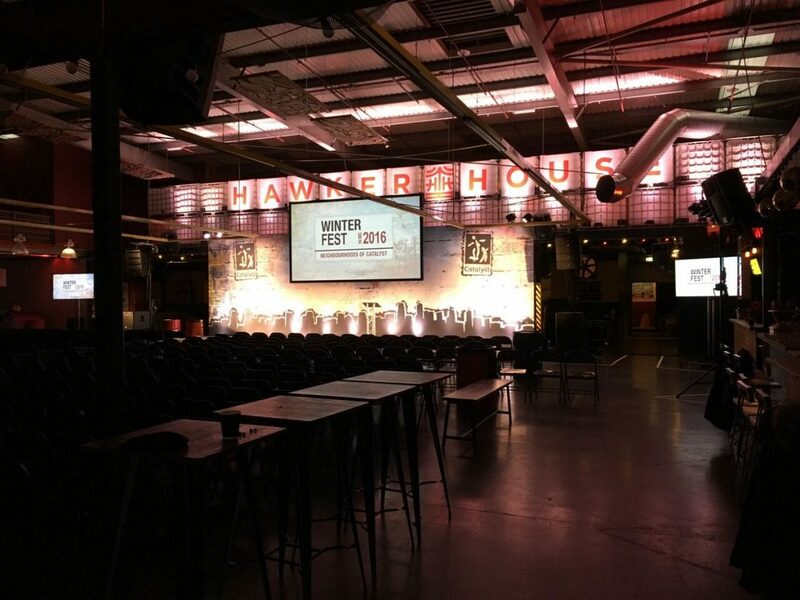 As this was an event which required specialist equipment and staging, our lead technician allocated a day to complete the set up and ensure all health and safety procedures were adhered to, due to the nature of the location. 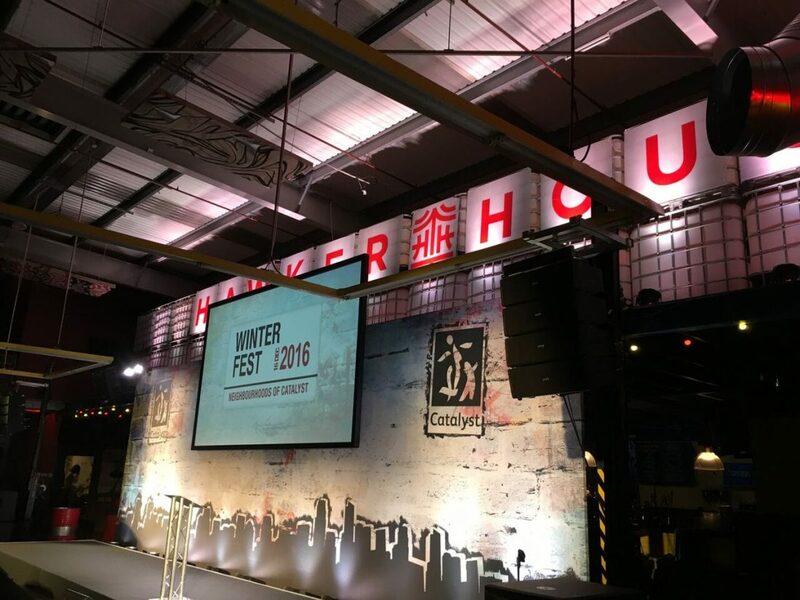 The projection screen our team used was 14 ft high, therefore we acquired the use of the DZ870 panasonic projector which has a resolution of 1,920 x 1,200 pixels, offering 8,500 lumem brightness, making the images and footage projected as clear as crystal. On top of that the RGB Booster achieves high image quality with levels of color reproduction and brightness that make each color stand out. 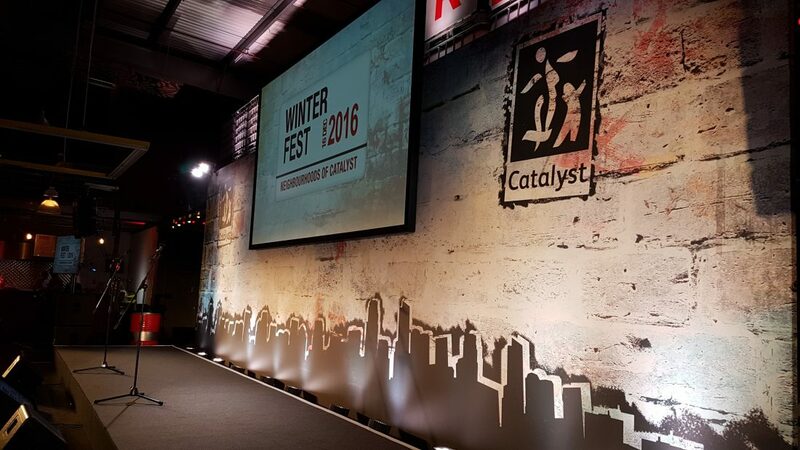 As this was a large audience we set up repeater screens, which consisted of 75” and 95” screens strategically placed around the venue so that all audience members could see the stage presenters and videos clearly. 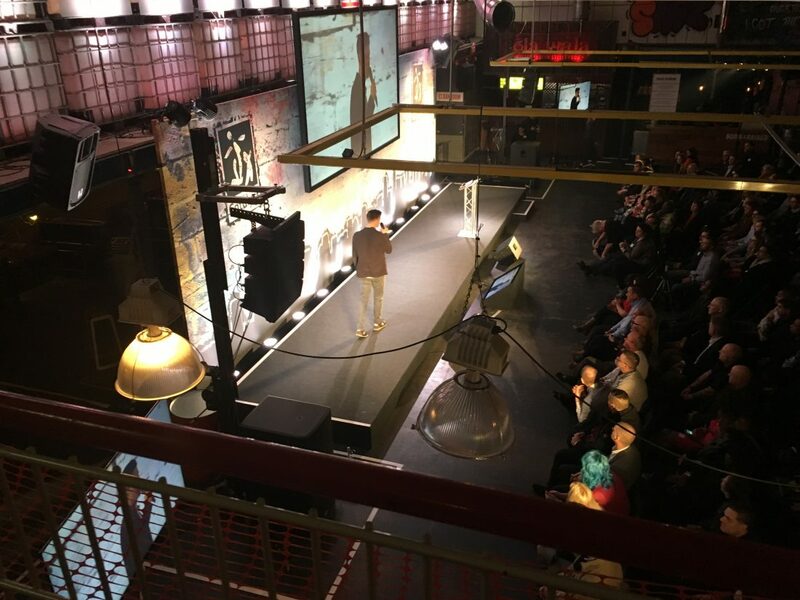 The lighting we used was wireless Astera lighting, which was perfect for this venue and also allowed no wires complying with health and safety issues. 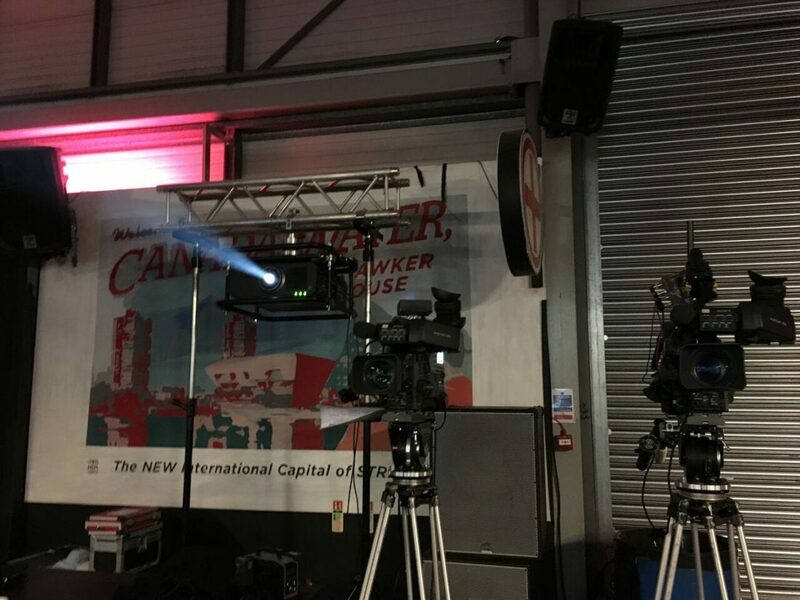 Our technicians set up 25 white Astera lights on the staging area, as the set colour was white and the overhead lights positioned on the trussing used were the black ones to blend into the background. The sound our engineers opted for were the Line Arrays on Towers. This audio provides adequate levels with low distortion, low noise and a flat frequency response. Positioned on the stage facing the audience, they are sure to hear every word clearly. We are proud to say that the event was executed without any problems, this was down to our good working relationship with the event organisers and our amazing team who always thorough during the pre-planning stage so our technicians are able to work efficiently on the day of the event. If you would like us to assist at your upcoming event, please click the contact us button below and send us a message or call us on 0207 701 9444. We would love to be part of making your event a success.